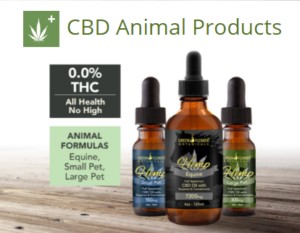 Introducing Green Flower Botanicals Full Spectrum CBD Hemp Oil for animals! This sublingual oil contains phyto-cannabinoid rich hemp oil containing the full spectrum of cannabinoids, terpenes, and fatty acids from the natural plant. It is then infused into a coconut MCT (medium-chain triglycerides) base to produce a quality, pure, lab-tested, terpene-rich CBD oil. Available in sizing from small animals up to horses. Your pet will feel the difference!